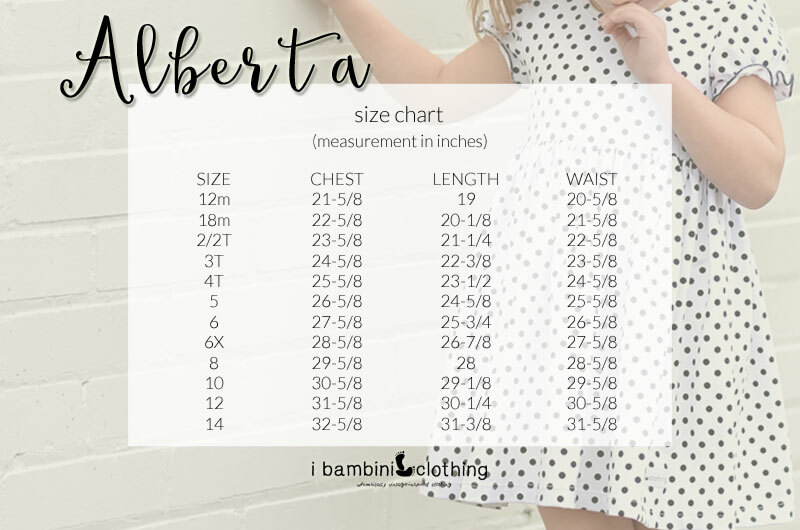 Your little girl will look amazing in our cute, adorable, and trendy Alberta Dress! Our Alberta Dress for girls is a favorite among our online customers, and for good reason. Your little one will love prancing around in this adorable and trend dress, no matter what day it is! Available in a variety of colors like pink, light blue, and midnight polka dots, you’re sure to find the perfect color dress for your little girl. All of our children’s clothes are meticulously handcrafted with love, right in the heart of Texas. Browse our girl’s dresses, bottoms, and more online today!